Air-to-Air Fighter Combat Application of Pugachev’s Cobra Maneuver: Busting the Western Myth | DefenseReview.com (DR): An online tactical technology and military defense technology magazine with particular focus on the latest and greatest tactical firearms news (tactical gun news), tactical gear news and tactical shooting news. It’s kind of fun to watch the world fixate on this one item (#7). Then again, I still enjoy air shows, too. Pugachev’s Cobra maneuver, for example. Drives the crowd wild. Relevance to modern combat? Zero. 1) Russian fighter pilot identifies target fighter aircraft location and speed. 2) Pilot gets a radar lock on target aircraft using the helmet sight cursor. 3) On flight/fire control command, pilot begins Cobra maneuver while IRS&T (Infrared Search & Track) continues to track the target aircraft. 4) Pilot launches air-to-air missile “over the shoulder”. 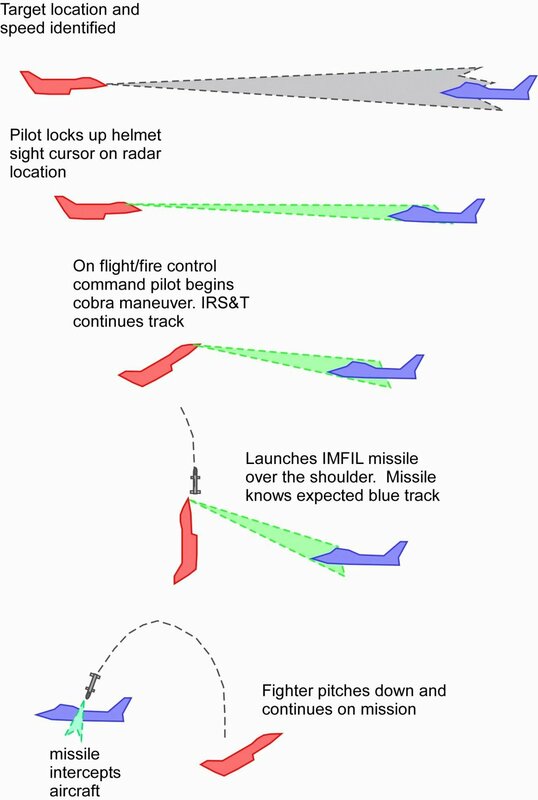 The missile “knows” the expected target aircraft track. 5) The pilot pitches his fighter aircraft down and continues on mission while the missile intercepts the target fighter aicraft. The graphical brief was sent to us in August 2007 by a highly-accomplished and well-respected aeronautics designer/engineer who’s worked on major U.S. fighter aircraft and air-to-air missile programs, and also happens to be a professional contact of ours. Our contact received it from a contact of his (a highly-credible source) at TsAGI (Central Aerohydrodynamic Institute), Russia. Our contact is also highly credible. If we receive permission to divulge the identities of our contact and his Russian contact, we’ll updated this article, accordingly.